MTMEPPC16 Red, White and Cute! I hope you are having a great 4th of July weekend!! We are looking forward to the fireworks show Monday. The kids make holidays so fun. Their excitement is contagious!! 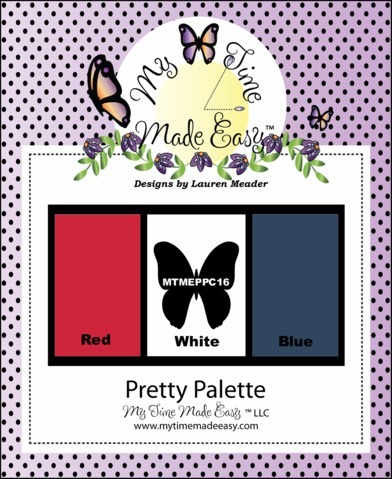 In spirit of Independence Day, My Time Made Easy’s Pretty Palette Challenge this week is, you guessed it, red, white and blue! 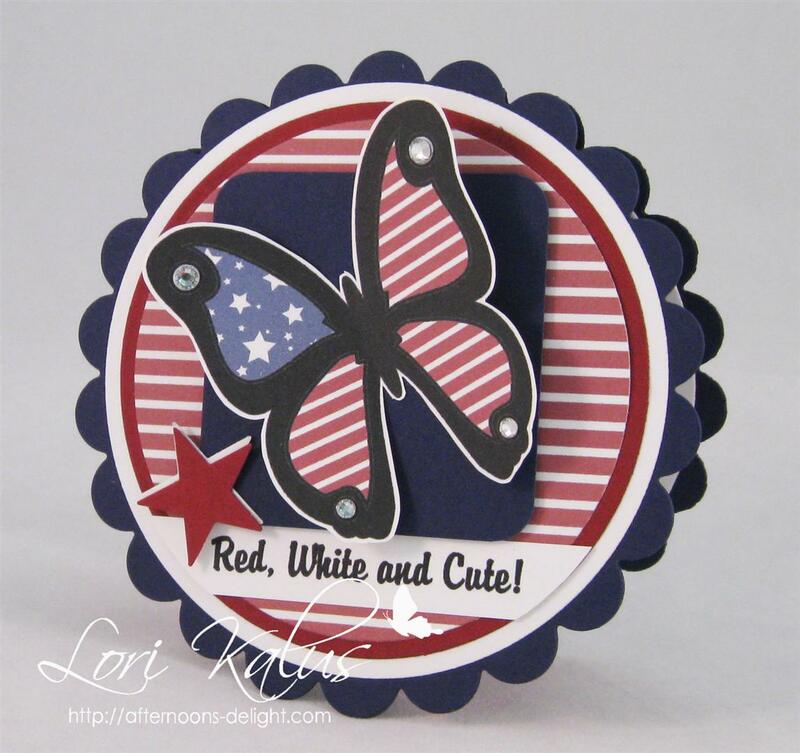 This butterfly is from My Time Made Easy’s All A Flutter digi stamp set. I customized Stars for Students and Picket Fence digi papers by changing their colors in Photoshop Elements for the butterfly and background. Once the papers were colored, I clipped them with the shapes of the butterfly wings. I played with it for awhile before I got what I wanted, but persistence paid off! I love it! Once printed, I hand cut it and added rhinestones on the corners of the wings. Isn’t it pretty and patriotic?! I saw this sentiment on a little girl’s shirt and thought it would work great here, so I typed it up and printed it out. Have a fun and safe 4th of July weekend!! This entry was tagged Cards, Lauren Meader, Mojo Monday, OCCC. This is adorable! I love that sentiment, the butterfly and the card shape. Love your style! Sorry it took me so long to comment, I’ve been having major problems with Blogger…Thanks for playing with us at the OCC! Good luck with the DT call!